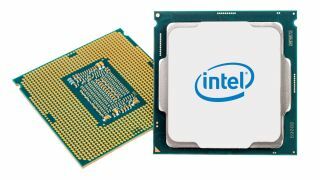 Intel has ironed out the bugs and released revamped Spectre fixes for all of its newest processors – those from Skylake (6th-generation) onwards. That means working Spectre patches (which don’t cause the stability issues that previous fixes did) are available for Skylake (which was previously announced) as well as Skylake-X, Kaby Lake, and Coffee Lake CPUs. Intel Xeon Scalable and Intel Xeon D processors (for data center use) are also covered. You won’t see the patches immediately, because Intel has released these microcode updates to hardware manufacturers, and these firms then need to include them in their subsequent BIOS updates. But depending on how organized your particular vendor is, it shouldn’t be long before your PC has a fix. Now Intel just needs to crack the apparently more problematic nuts of older Haswell and Broadwell processors (4th- and 5th-gen), as well as models previous to that. Last month, Intel noted that every generation of Core CPUs were affected by Meltdown and Spectre save for the 1st-gen outing. At any rate, this looks like good timing, seeing as last week we heard about new exploits targeting the vulnerabilities which have been put together by white hat security researchers. If the good guys have done that – and successfully demonstrated an exploit on a MacBook – it’s likely that more nefarious types working on leveraging these bugs won’t be far behind. Fingers crossed, then, that Intel can manage to sort out the rest of its processors sooner rather than later.